ARCHITECT@WORK is pleased to announce its approved international architectural product suppliers. The London edition of this global, two-day event aimed at architects, designers and specifiers, is in its sixth year and is being held at Olympia National Hall on 24th and 25th January 2018. The two days include free admission for registered trade visitors and complimentary catering throughout, encouraging networking and downtime as well as deal-making opportunities. 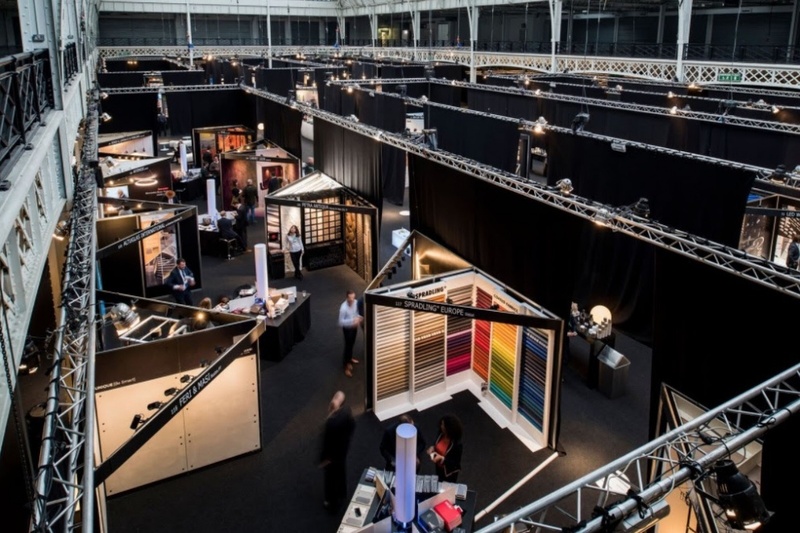 All exhibitors go through a rigorous selection process, with an external judging panel overseeing the product selection, to ensure that this is one of the UK’s most highly respected trade shows of its kind. 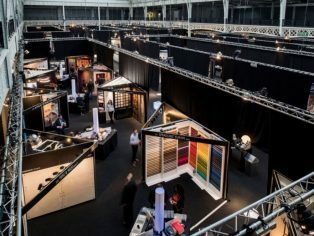 Over 100 leading suppliers will showcase their innovative products and services, which will include the latest in surface solutions, lighting technology as well as fixtures and fittings. Established in Spain in 1892, Cuppa Pizarras will show Cupaclad Design Honeycomb: New Rainscreen Cladding System in Natural Slate. 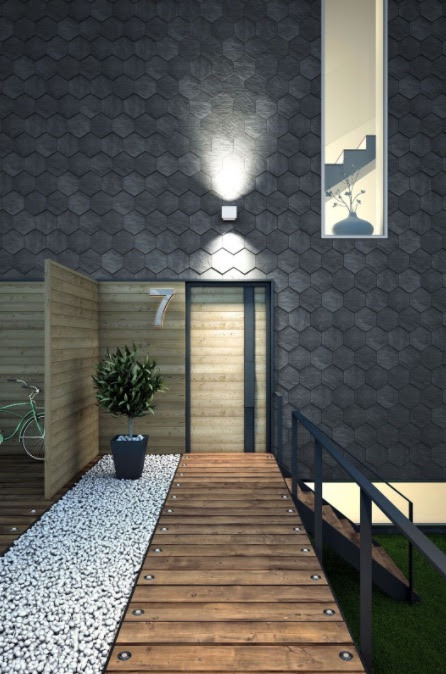 The product aims to push contemporary architecture with new ventilated façade designs in state of the art shapes and slate combinations. The cladding features self-drilling screws for simple installation. The 100% natural slate is handmade by master splitters and does not require additional treatment. Spanish porcelain manufacturer Grespania will display New Coverlam NEXO. These large-scale, slim tiles are made from sintered laminated porcelain. Their high resistance to heat and ice make them ideal for interior and exterior coverings, cladding and flooring. The range features seven formats with four colours in matt or gloss finishes. Due to the tile’s minimal thickness, the consumption of raw materials is two to three times lower than any other type of porcelain tile. German door handles manufacturer Karcher will present Cosmos Black, part of its Black Edition range. The finish is applied electrostatically as a powder coating and does not require the use of solvents, creating an eco-friendly high-quality product. The door handles are scratchproof as well as highly resistant to corrosion. The surface itself feels smooth and warm, not unlike that of a palm stone. Louage & Wisselinck will show the Chameleon Slide and Chameleon Self-Supporting Pocket Door – One Size Fits All. The Chameleon slide is a discrete, invisible sliding door that combines the best of a swing door with a sliding door. The doors are space saving and offer high security. Vescom has been developing and producing wall covering, upholstery and curtain fabrics since it was established in 1971. The Curtain 2018 range offers plain, patterned and translucent variations as well as acoustic absorption, black out and dim out options totalling 35 technical qualities with 600 possible colour ways. The curtain fabrics are fire retardant, lightfast, functional and durable. The acoustic curtains are available in 45 different colours. Established in 1886, British floor manufacturer Tarkett will show iD Mixonomi – The Art of Mixing, a new modular vinyl flooring collection. The seven compatible geometric shapes allow for spontaneous layouts. The tiles are available in 33 hues, offering a colour palette for all lifestyles and trends. Established in December 2016, Italian brand ES ATELIER has created the E-Light. This lightweight and super-slim back-lit stone can add a luxurious feel to any interior. 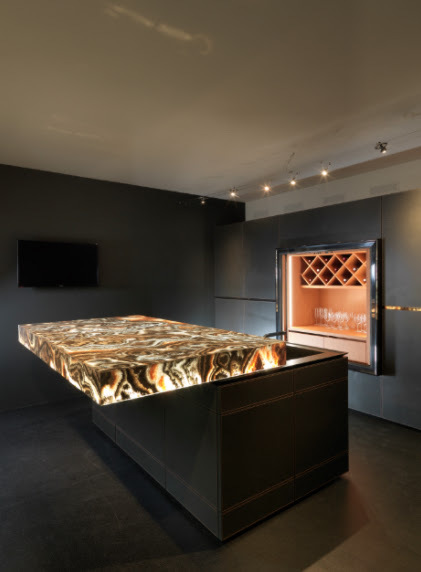 The E-Light is created through the lamination of marble or onyx with glass and a luminous transmittance LED panel. Italian manufacturer Akros Le Acqueforti will present ARTWORK, a collection of works by great painters reinterpreted in marble or wood. All artworks can be recreated on floors or walls, allowing customers to incorporate their favourite masterpieces into their interiors. Textures, colours, sizes and styles are all customisable. French manufacturer of luxury faucets THG Paris will show the new Dean collection of vintage style bathroom fittings. The colour of the brassware is achieved by using PVS (Physical Vapor Deposition), a new technological plating technique that consists of vaporising a metal. This is then deposited onto the product by way of ionised plasma. Austrian luminaire manufacturer Zumtobel Lighting will present four new products at ARCHITECT@WORK. 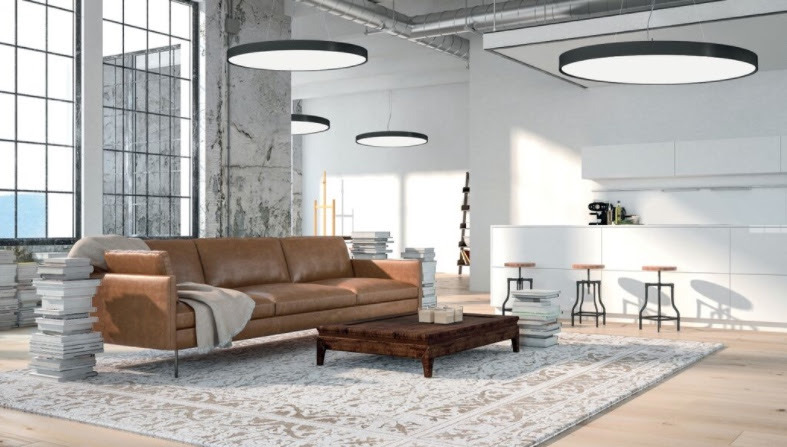 Acoustic luminaire Ondaria is a round, wide-area luminaire with sound absorption. Two layers of fabric are used to absorb noise and therefore reduce reverberation, perfect for use in contemporary open-plan offices. The luminaires are available in three different sizes and with five different aluminium colours. 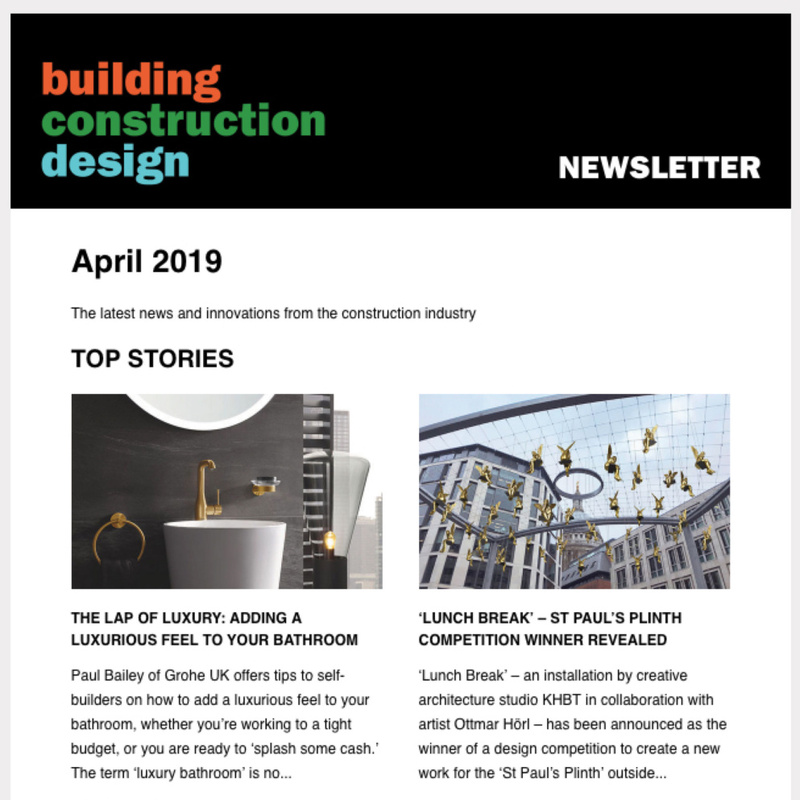 Canal Engineering will show Bespoke Feature Staircases made from mild steel, timber, laminated glass, stainless steel and other bespoke materials. The cantilever stair is a beam anchored at only one end, allowing the protruding construction overhang without any external bracing. The simplistic design of the overhanging tread has allowed for the design of some striking concepts, moving away from the straight flight of stairs commonly seen. The stair can be designed in many styles including straight, quarter turn, half turn, helical and curved. The stair needs no support underneath or between the treads, creating a vision of open space and a ‘floating’ appearance. The theme for ARCHITECT@WORK 2018 is light. Everything from practical applications to more artistic endeavours related to light will be high on the agenda of the talks programme. 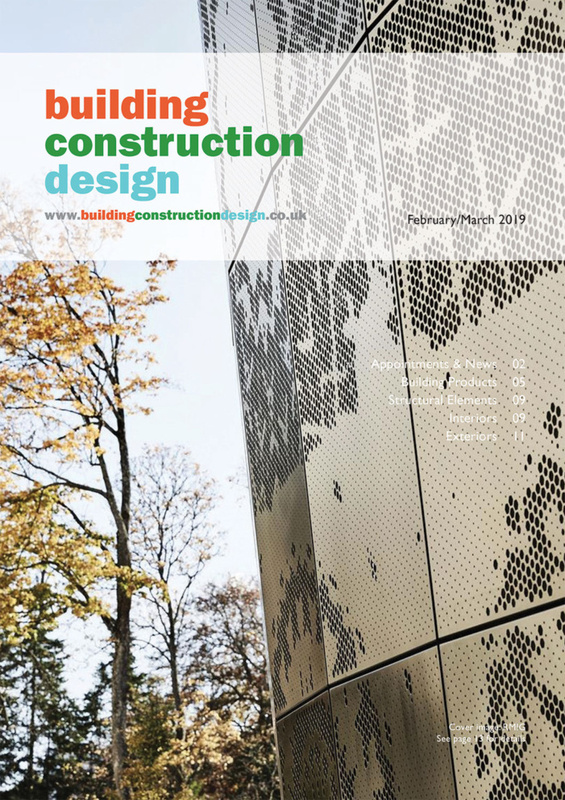 Other show features include exhibitions by the SCIN Gallery, DAPh and World-architects.com, as well as RIBA’s Pop-Up Book Shop for Architects and Designers.